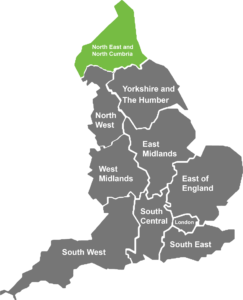 Regional NIHR Research Design Service extends support to researchers as the NIHR RDS North East and North Cumbria. From 1 October 2018, we are delighted to be extending our support to health and social care researchers across our region as the NIHR RDS North East and North Cumbria. Led by Professor Helen Hancock, the RDS NENC is one of 10 regional RDSs across England, who support researchers to develop and design high quality research proposals for submission to NIHR funding programmes and other national open peer reviewed funding competitions for health and social care research. Foundation Trusts, Newcastle City Council, the NIHR Clinical Research Network NENC and other key NIHR Infrastructure across the region and nationally. Renewed funding, for five years from 1 October 2018, will allow enhancement of RDS provision; advice is free and draws upon a unique breadth of experience and a proven track record in improving funding applications. Prof Hancock said: I am delighted; our working together will bring new opportunities for researchers across the region as we capitalise on strengths within each of the partner organisations. Together we bring extensive expertise including acute care, mental health, public health and social care research. Find out more about the NIHR RDS and national RDS network. Every year innovators in England develop countless promising medical technologies, many of which are funded by the NIHR. But too many don’t make it all the way into the NHS and across the finish line of patient benefit. Martin Hunt, director of the NIHR Invention for Innovation (i4i) programme, outlines NIHR’s plans to help medtech organisations show the benefits of their technologies in real world healthcare settings and generate evidence to support their implementation in the NHS. Read more here. Is NIHR Global Health funding really addressing health inequalities? Rebecca Wilkinson, a Public Health Registrar on placement with the NIHR, discusses how equitable the NIHR Global Health Research Programme really is. To read more, click here. The North East Creating Connection Patient and Public Involvement (PPI) network hosted Reaching Out: Diversity in involvement in research. The event brought together patients, members of the public, researchers and organisations from across the North East and North Cumbria (NENC) and was also the launch event for the start of Creating Connections work on Reaching Out. Read more here. View our monthly newsletter for up to date news, events and funding calls – you can also subscribe here to receive news direct to your inbox. The NIHR Newsroom NENC is the Clinical Research Network North East and North Cumbria’s research news platform. CRN NENC stories include what’s happening around our region, opportunities, funding, awards, events and much more. The Newsroom also features news and information from our partner organisations across the region. They have recently launched a Newsroom redesign with an improved look, making the design more modern, clear and fresh. Navigation has been improved to allow an easier user experience and an ‘Events’ page has been added to detail the events happening around the region. INVOLVE have published a guidance document with an aim to moving toward clarity about what is meant by co-producing a research project. It explains the key principles and features of co-producing a research project and suggests ways to realise the principles and key features. Finally, the guidance outlines some of the key challenges that will need addressing, in further work, to aid those intending to take the co-producing research route. Please visit the INVOLVE website to access the guidance document.